A cross-community and cross-border youth drama production of a new play SL&NCR; written by the Fermanagh playwright Carlo Gébler takes to the stage in The Glens Centre, Manor hamilton and the Ardhowen Theatre, Enniskillen on March 30 and 31. 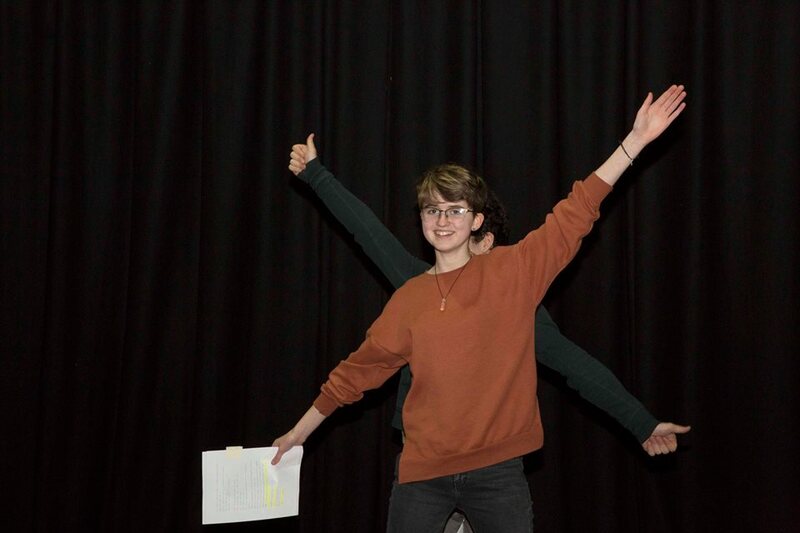 The performance features 32 young people from the Leitirm and Fermanagh border region has been developed over a 10 month creative cross border collaboration process as a part of the Across the Lines, IFI funded programme running from The Glens Centre. The project commenced in June 2018 with young people coming together with their own drama Leaders Declan Drohan, Sally Rees and Tori Lee and the playwright Carlo Gébler to research the Sligo Leitirm and Northern Counties Railway which once connected people, townlands and communities between Enniskillen and Sligo. It was a new and fascinating experience for them in cross-community and cross-border groupings to experience the border up close as part a walk in the landscape exercise led by the Leitirm artist Séamas Dunbar. The research and the stories gathered have been the catalyst for Carlo’s powerful script, which has been developed through the direction of the drama tutors Declan Drohan, Tori Lee and Sally Rees with support from Treason Nealon and under the guidance of Kabosh artistic director Paula McFetridge. The IFI project coordinator and production producer Ruth Gonsalves Moore affirms that “the result is a energetic youth production that educates, inspires and moves.